Crystal Palace’s Wilfried Zaha experienced his best gameweek of the 2018-19 Fantasy Premier League season against West Ham. The Eagles forward tallied nine FPL points thanks to his 76th-minute equaliser against West Ham. Crystal Palace earned a 1-1 draw. They are now three points clear of the relegation zone with 12 matches left to play. Zaha has now tallied five goals and five assists this term. However, he has only tallied 76 FPL points. The forward’s points totals have been inconsistent. But he still offers managers potential. The Crystal Palace talisman costs managers £6.7 million. His price has been relatively consistent despite his form not being so. Zaha started the season at £7m. Last season, Zaha tallied nine goals and seven assists while scoring 136 FPL points. The forward’s best season in FPL came in 2016-17 with a total of 149. Zaha is trending backwards in fantasy football. Zaha is Crystal Palace’s second-leading scorer, but his season seems to be a reflection of the club’s as a whole. Crystal Palace have struggled winning seven of 26 matches. The team averages just one goal per match. Who will Crystal Palace and Wilfried Zaha face next? Crystal Palace will take on Leicester in gameweek 27. The Foxes have been incredibly inconsistent, especially at home. The Eagles defeated Leicester in their previous meeting at Selhurst Park. Zaha did not feature in Crystal Palace’s win over Leicester in December. The win over Leicester was the catalyst to the Eagles’ three-match unbeaten run and preceded their win over Manchester City. Crystal Palace will clash with an in-form Manchester United in gameweek 28. 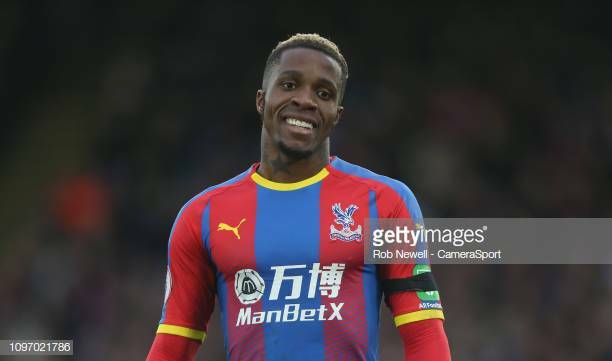 Zaha’s up and down form may not make him the ideal candidate for FPL managers. However, Zaha is nicely priced. He could be worth a gamble in gameweek 27 against Leicester. It could be another big week for the Ivorian.